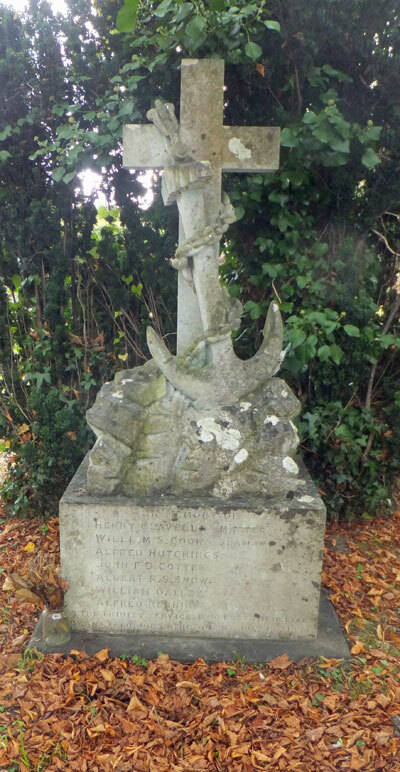 On July 19th 1894, seven members of the crew of Trinity House Vessel Mermaid were killed while engaged in blowing up the wreck of a yacht on the Brambles Bank at the entrance of Southampton Water. The crew lowered a number of explosive charges down tubes to the wreck and lit the fuses. However, the last charge did not explode so the crew prepared a larger charge to finish the job. For some reason, possibly the failed charge was recovered, there was an explosion in the boat and all seven crew on board were killed. The families were give £10 each by Queen Victoria and Trinity House awarded the widows a pension.